On this page, discover a presentation of 3DDuo, the company that created the Facebook Social Game at Moonscoop's request...and continues to develop it! What is this company? What is its field of competence? What have they got to do with Moonscoop? The answer is right here! 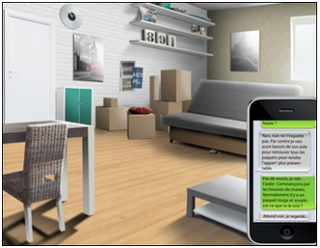 3DDuo is a company located in the north of France at 99A Boulevard Descat in Tourcoing in 59. This business is a video game creation studio. Of course they don't see to the development of flagship games such as "Call of Duty" for consoles from Microsoft and Sony. Rather they develop simple but effective games, targeted to a specific audience and responding to the precise wishes of a client. Indeed, although 3DDuo is not a giga-firm, it has other equally significant qualities. It is first of all a local company on a human scale. No supra-division of tasks; a united team working together on a human and familial scale. Though 3DDuo's games are not mainly for large-scale distribution on store shelves, they are nonetheless of very good quality and with a real purpose that goes beyond the simple gaming sphere. Because a video game can become a vehicle for raising public awareness. Using games and their playful effect, the impact of the message can become stronger without being daunting. Ideal solution for companies wishing to train their staff properly or vector learning for schools, video games are an innovative and effective teaching tool. 3DDuo has understood and explores this track. Because this remains the primary goal of video games anyway! Because video games can also be a means of publicity! Who, despite never having played a game, still doesn't know about its universe through hearing others talk about it? Who, rather than listen to yet another boring advertisement, would rather not discover a product while having fun playing a video game? It's this marketing track that 3DDuo proposes to discover. As a member of the most active and most original French community... The only French community that, through its fervour, managed to get its television series relaunched... We are well-placed to understand the importance of a federation. Grouping clients and supporting a common passion through video games: this is the last of 3DDuo's warhorses. What about 3Dduo to conclude? 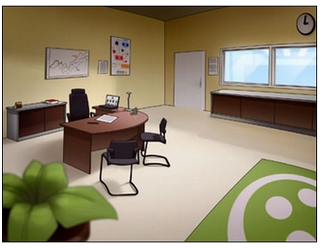 And it is this local expertise 3DDuo offers that Moonscoop hired to create the Code Lyoko social game. Let's contextualize the emergence of the social game. It came to our screens on 15 May 2012. 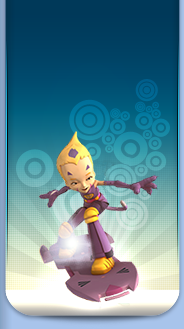 It corresponds to the period during which Moonscoop began the first elements of its extensive advertising campaign around Code Lyoko Evolution. The creator company of our series had a very, very large fanbase. This set of fans was still lethargic following the end of season 4 many years earlier. It was therefore necessary to reactivate the fervour of the fans, first of all communicating the arrival of Code Lyoko Evolution and then reactivating interest in the old universe of the series. What solutions has 3DDuo made with the social game? Here we find the array of skills 3DDuo applied to the Code Lyoko Universe and Moonscoop's needs. The Facebook Social Game has, in fact, become a major and central element in the promotion of the series. Its success, expected or not, boomed right from the start as the game quickly became a favourite application of Facebook users before detaching from the social network and get its own dedicated site. The interests of the game are many. Firstly, it was available to many Lyokofans a fun platform entirely dedicated to the universe of the series. This wasn't bad because the two Code Lyoko DS games and "Code Lyoko Quest for Infinity" (PSP, PS2 and Wii) began to grow old badly. In addition, unlike game platforms that include a beginning and an end, the Social Facebook game can be used indefinitely. The fun aspect has been validated by the enthusiasm for the game, now watching the promotional aspect. The social game was integrally linked to Moonscoop's promotional programme. Concomitant output of the Code Lyoko Evolution avatars and the first episode of the series on France 4's site is a symbolic element. There are also various codes used in the game that fans could pick up on scratch cards in various promotional events (advance preview, Code Lyoko Cosplay at Japan Expo, etc...). 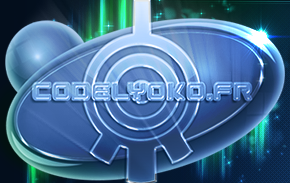 But the key element remains the following: 3DDuo, with the social game, has enabled many Facebook users who do not know Code Lyoko discover the series Universe. So it actively participated in the promotion of the series. Finally, the game is a social game; it has fulfilled its primary function: federation. The 3DDuo game has allowed the composition of a vast network of fans on Facebook because it allows players to make friends and fight with or against them, through its internal mechanisms to meet other players. This social and fun platform allows emulation and some interaction between the fans of the series and adds a space for exchange between the fans. It is now an essential component of the Lyokofan community landscape and a place where players can live their passion in an atmpsphere that's faithful to the series. Last positive point, updates and regular additions are an asset of choice to keep the players excited and keep the game up-to-date. A great success by 3DDuo. To conclude, a small section to present other 3DDuo creations by category. Offer fans of Space Goofs a social game that fits the mood of the cartoon. 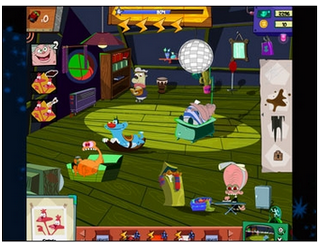 A social game on Facebook consolidating the crazy atmosphere of the cartoon. Using the individual personalities of each Goof, the player must kick out the squatters or build a rocket to help them return home. Offer a game to the community of Facebook fans by highlighting the products of the new 2012 "white" collection in the 3 Suisses catalogue. Creation of a Hidden Object game featuring new products from the "white" collection and return players to the product details on the 3 Suisses site. Crate a 2012 remake of this legendary platformer. 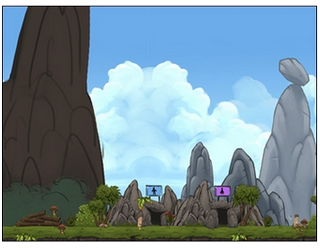 Play as Gragawars, a prehistoric man in a leopardskin loincloth, and travel through the 12 levels of the game. The crazy spirit of the age has been preserved, as well as the game's world and bosses. Particular emphasis was placed on replayability, which has a very long lifespan. Contribute to the integration of disabled people in business. Designed to help with the integration of handicapped workers, Handicohésion is an informative game aimed at employees and recruiters. Whether you're a human resources manager, manager or employee, this adventure game will give you scenarios tailored according to your profile.